Despite a gale warning from the local meterological office on the morning of Saturday, 31 January 1953, the passenger ferry Princess Victoria left Stranraer, Scotland for her regular journey across the Irish Sea. Shortly after departure, the ship got into trouble, and at 2 p.m., before rescue crews could locate the listing vessel, the order was given to abandon ship. Of her 179 passengers and crew, 133 lost their lives. Netherlands. Viewed from a US army helicopter, a Zuid Beveland town gives a hint of the tremendous damage wrought by the flood to Dutch islands. The Princess Victoria was the first victim of an exceptional European windstorm, an extreme extratropical cyclone that grew in intensity as it skirted the British Isles and veered south along the east coast of Great Britain, with devastating effects. The storm coincided with high spring tides and the semi-enclosed shape and shallowness of the North Sea to produce a storm surge that flooded large swathes of the east coast of England, the Netherlands, and parts of Belgium. The surge peaked at 3.35 meters above the average sea level, and waves of over 4.9 meters were recorded. In the countries affected, physical sea defenses were in a dilapidated state due to the Second World War, and warning systems, where they existed, were rudimentary. In the UK there was no national warning system in place and so, despite the earlier sinking of the Princess Victoria and the slowness of the southward progression of the storm surge, each community along the coast was inundated unexpectedly as they slept. The Dutch storm tide warning service was more advanced than in the UK, but despite warnings being distributed widely via telegram and radio, the occurrence of the flood during the middle of the night, when the radio stations were not broadcasting and people were asleep, rendered the warnings almost useless. All rights reserved © 1953 J. A. Steers, The Geographical Journal, London: John Wiley and Sons Ltd. The scale of the flooding was unprecedented. In England there were 1,200 breaches of sea defenses, 140,000 acres of land were flooded, 32,000 people were evacuated, 24,000 properties were damaged, 46,000 livestock were killed, and 307 people died. In the Netherlands, approximately 100,000 people were evacuated, 340,000 acres were flooded, 47,300 buildings were damaged, 30,000 livestock were killed, and 1,836 lives were lost. In addition, there were 17 deaths in Scotland, 22 in West Flanders, Belgium, and 230 in vessels at sea (including the 133 lost on the Princess Victoria). 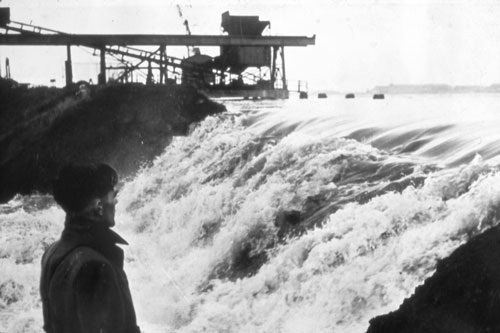 The catastrophe led to in-depth government reviews of events in both the Netherlands and the UK, resulting in significant improvements in coastal defenses, warning systems, and flood management policy. In the UK, the largest results of this review process were the development of the Storm Tide Warning Service (today part of the National Severe Weather Warning System) and eventually the completion of the Thames Barrier in 1984 to protect London from future surges. 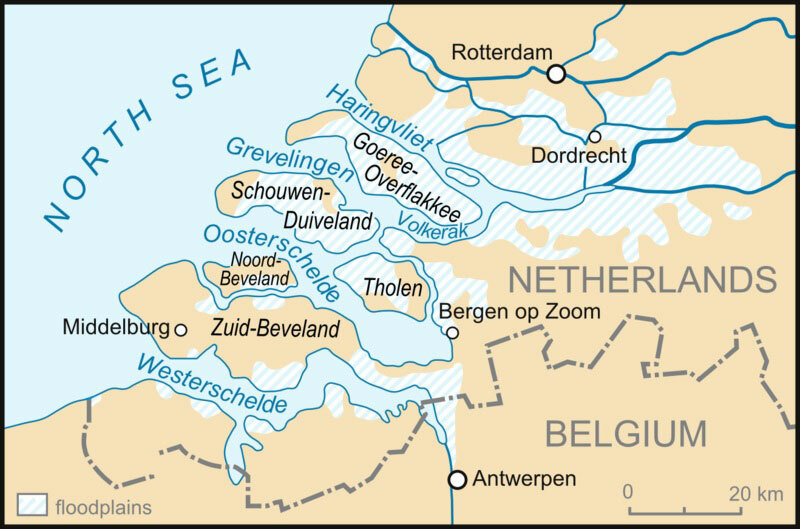 In the Netherlands, the Delta Commission’s study into the cause and effect of the floods led to the Delta Works, a series of dams, locks, sluices, levees, and storm surge barriers, including the nine-kilometer Oosterscheldekering dam, that now protect the Netherlands from the threat of coastal flooding. Hall, Alexander. 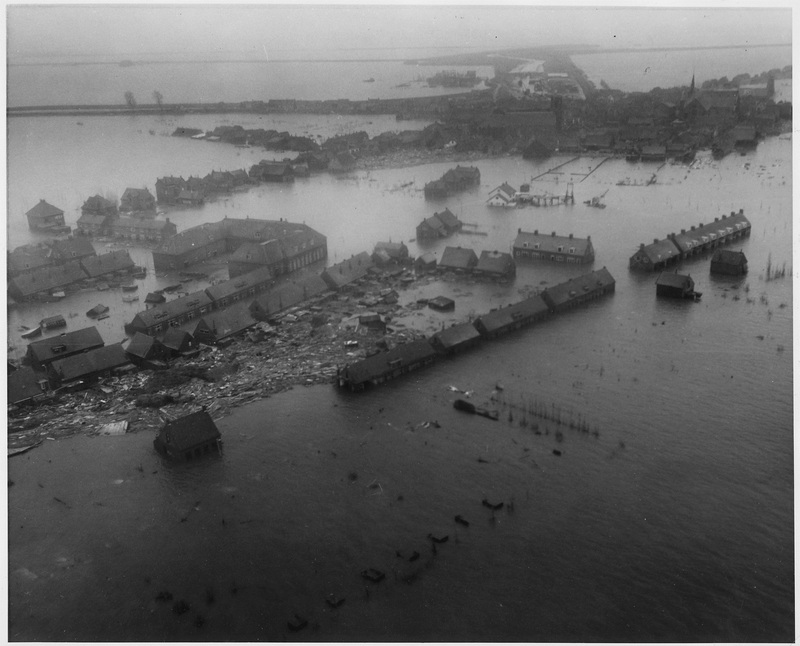 “The North Sea Flood of 1953.” Environment & Society Portal, Arcadia (2013), no. 5. Rachel Carson Center for Environment and Society. https://doi.org/10.5282/rcc/5181. Baxter, Peter, J. “The east coast Big Flood, 31 January-1 February 1953: A Summary of the Human Disaster.” in Philosophical Transactions of the Royal Society A 363 (2005): 1293-1312. Gerritsen, Herman, “What Happened in 1953? The Big Flood in the Netherlands in Retrospect.” in Philosophical Transactions of the Royal Society A 363 (2005): 1271-1291. 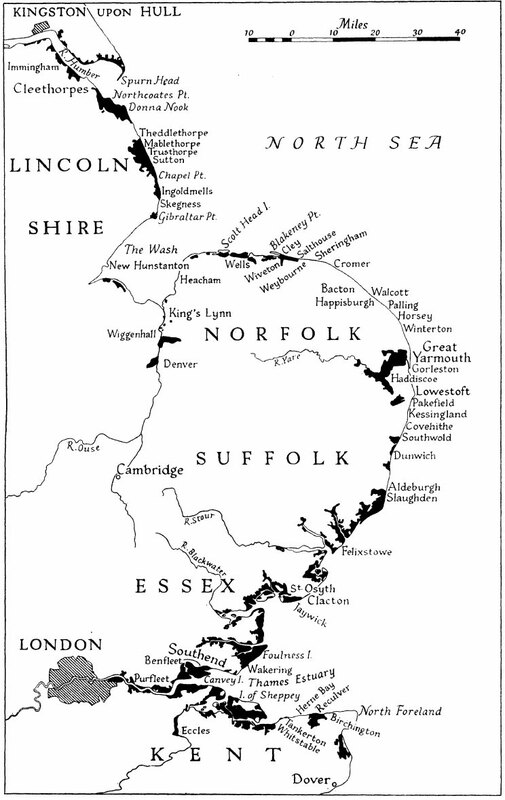 Hall, Alexander, “The Rise of Blame and Recreancy in the United Kingdom: A Cultural, Political and Scientific Autopsy of the North Sea Flood of 1953.” in Environment and History 17 (2011): 379-408. Steers, J. A. “The East Coast Floods.” in The Geographical Journal 119 (1953): 280-295. Alexander Hall is a historian interested in the intersection of science, policy, and the environment, and is currently a visiting scholar at the Institute for Science and Technology Studies at York University, Toronto. He recently obtained his PhD from the Centre for History of Science, Technology, and Medicine at the University of Manchester.